Gretchen Gandini joins Taylor Community as Director of Development and Community Outreach. Gandini is a graduate of Holy Cross College, Worcester, MA, with a BA in English. 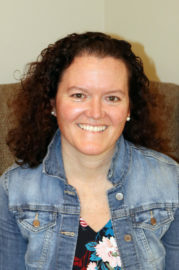 She served as part-time executive director of the WOW Trail for the past five years, and holds a seat on the Gilford School Board. Gandini said she’s thrilled to have joined Taylor’s team. “This is a special place, filled with exceptional people – both staff and residents. From the moment I stepped on campus, I have been overwhelmed by the friendliness of the people.